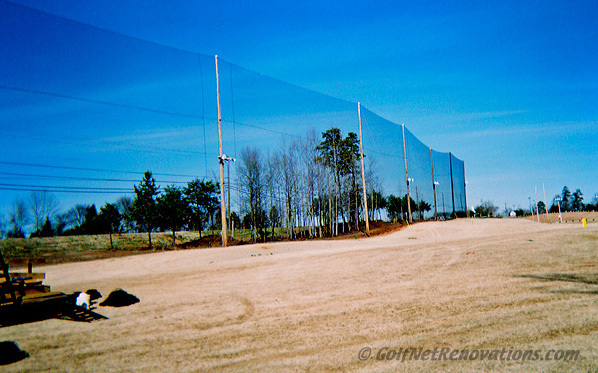 We have the experience to custom design and build any type of netting application you may require. All our products are hand-assembled, delivered and installed. We have YEARS of CUSTOM BUILDING, DELIVERING and INSTALLATION of well-rounded NETTING EXPERIENCE that is used in many industries. After adapting nets for others, by reworking and strengthening them to meet our needs of perfection, quality and durability, we started making our own nets. Some areas we have made nets for include the following, but we can cover any of your netting needs. WE BUILD THE NET, DELIVER THE NET AND INSTALL THE NET.